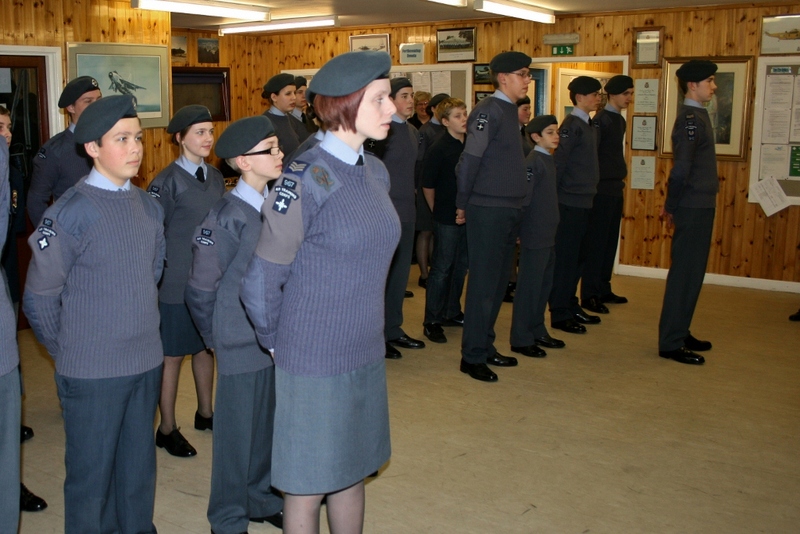 The Staff and Cadets of 967 Squadron would like to congratulate Cadets Ruth Haynes and Shaun Perry who have added ‘Flight’ to their title – being promoted from Cadet Sergeant to Cadet Flight Sergeant. These promotions represent the next step for these Cadets, both being required to convince a Wing Staff Officer that they were the right people for the role before the CO was allowed to promote them. The promotions were carried out by Wing Commander Steve Molloy who was attending the Squadron’s Annual Formal Inspection. Cadet Flight Sergeant Perry joined the Squadron in 2008 and has developed into a mature and respected member of the Squadron. He consistently achieves a high standard of deportment whilst still ensuring that those around him enjoy the Air Cadet experience. 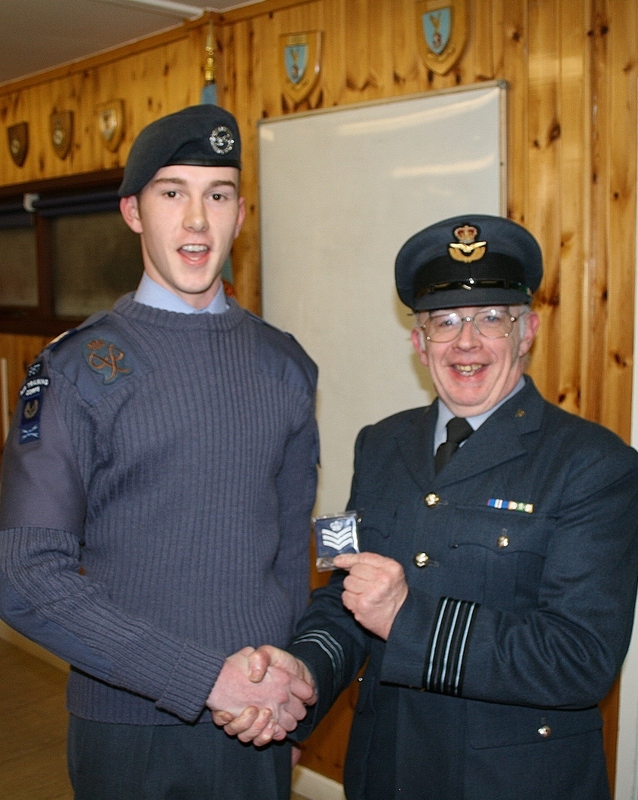 Shaun’s achievements stretch beyond the Squadron representing the Wing on overseas camp to RAF Akrotiri. 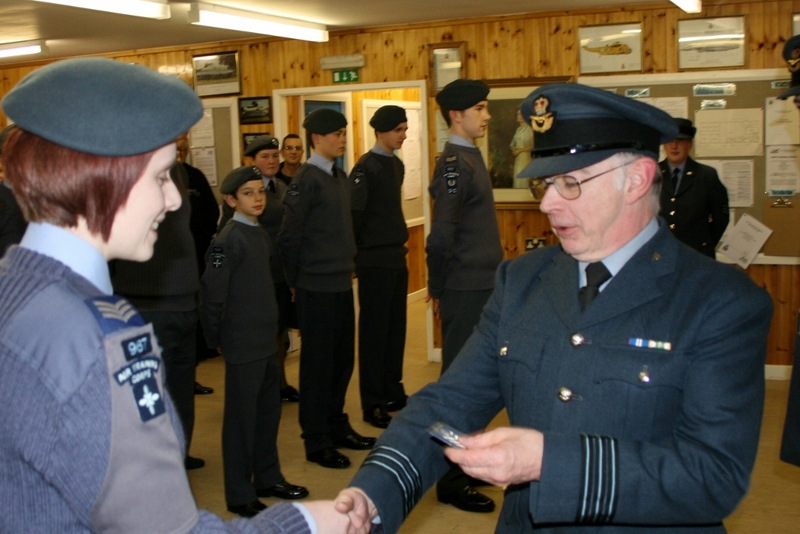 Cadet Flight Sergeant Haynes joined the Squadron in 2007 and has developed into a confident and valued Cadet. 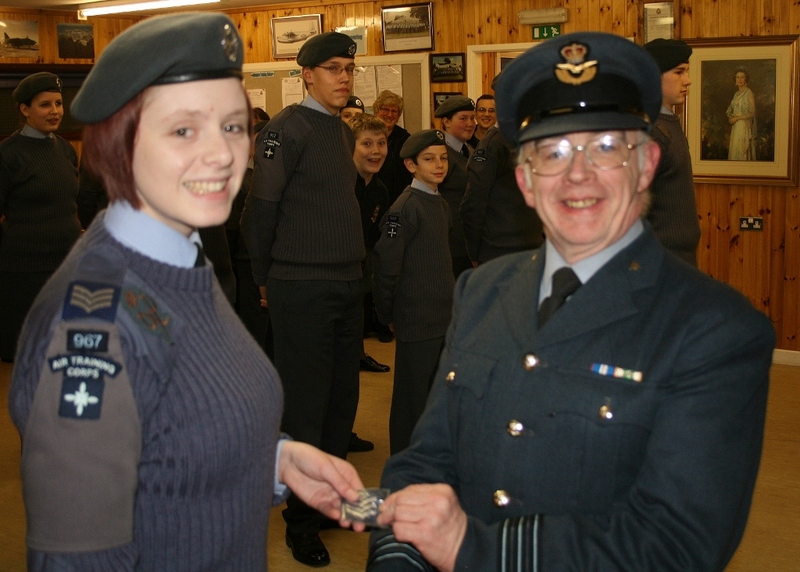 She’s attended a wide variety of Cadet events, including annual Camp at RAF Kinloss, adventure training camps at Halton Training Camp and the Air Cadet Adventure Training Centre Llambedr and a variety fund raising activities. Ruth has also been awarded the BTEC in Public Services. Both of these Cadets are assets to the Squadron, Wing and Corps. Congratulations to them both.